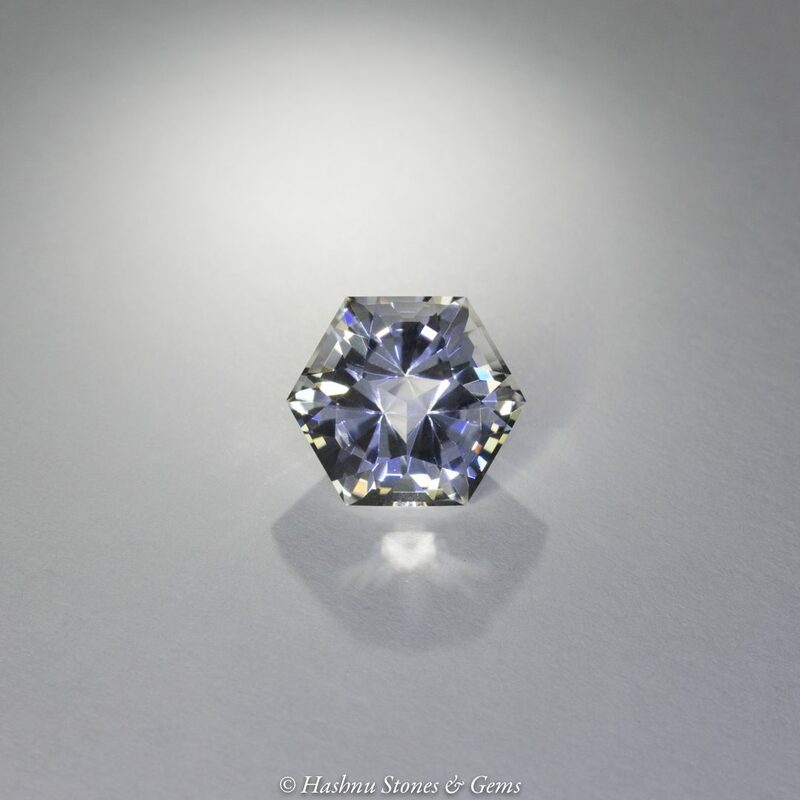 Linda’s sapphire, 1.2 cts, faceted by Hashnu Stones & Gems Studio. Gem design, “Beyond My Imagination,” by Jim Perkins. © Hashnu Stones & Gems. Used with permission. 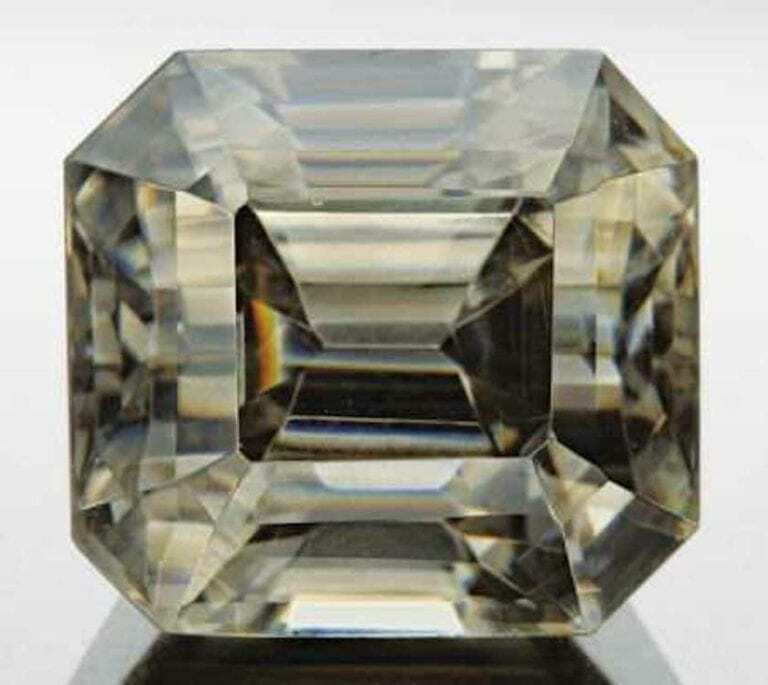 In this article, I’ll introduce one more story and finally unveil pictures and photos of the six finished story gems from this precision faceting series. 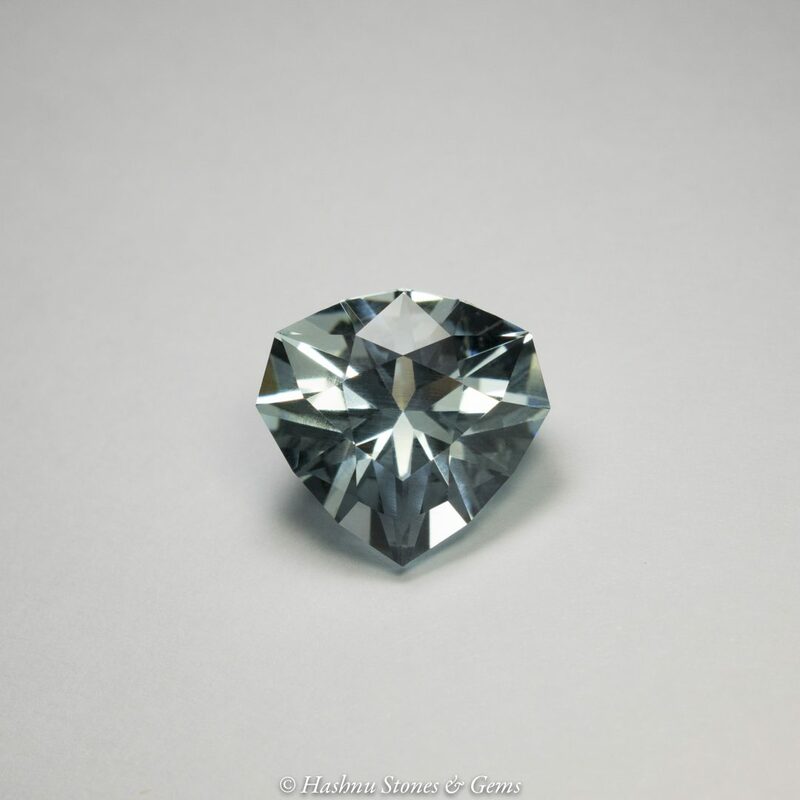 I’ll also share some tips for consumers considering custom faceting for their own gemstones. Sometimes, people lose gems when they come loose from jewelry settings. If you wear jewelry daily, I recommend you take it to a professional jeweler once a year for expert cleaning and to check the setting. 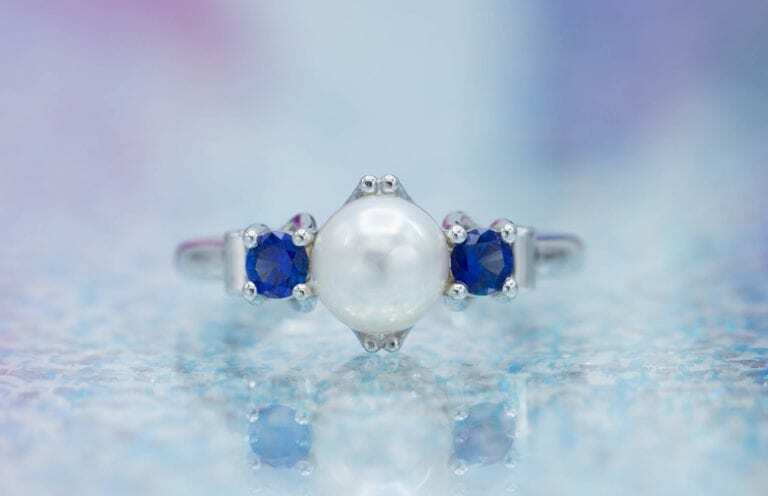 Linda wore the solitary sapphire ring she received for her sixteenth birthday every day, eight years straight. While driving home from work one day, she noticed the sapphire was no longer in the ring. After days of searching, she realized the stone was lost for good and resolved to replace it. Finding a replacement became a challenge for Linda. When she was sixteen, her favorite color was yellow. 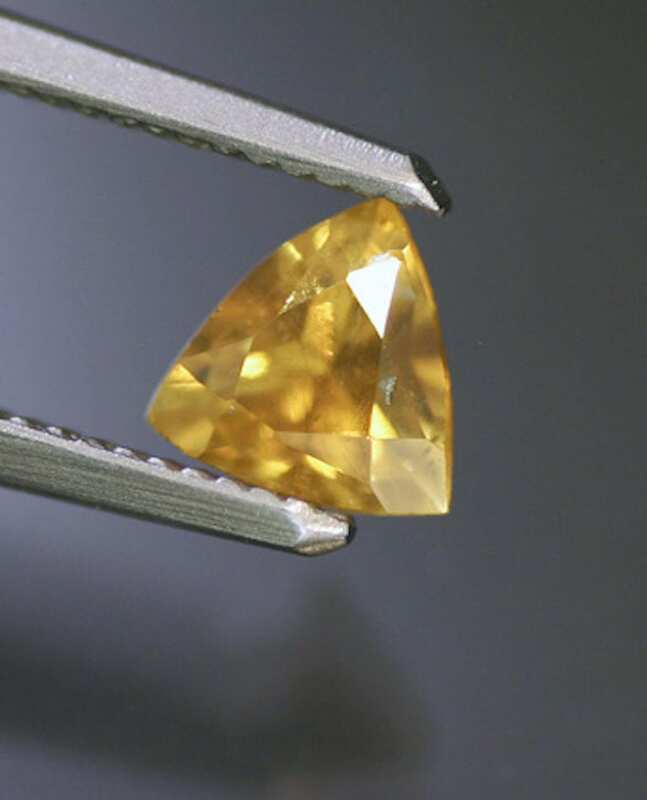 Her parents bought a yellow sapphire as Linda’s September birthstone. After visiting several jewelry stores, Linda knew finding the same exact color would be difficult. While searching for yellow sapphires online, she found my website. 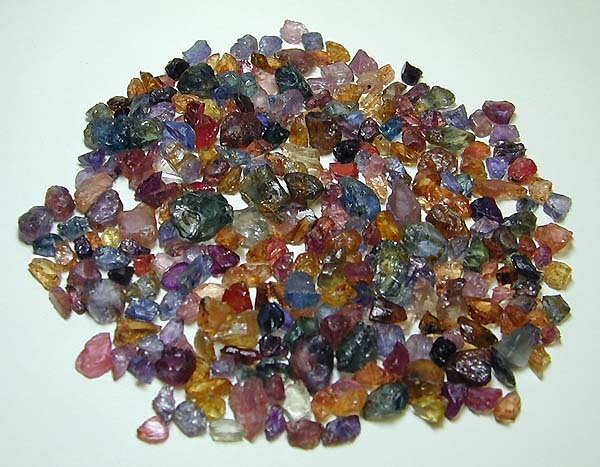 Since I sell rough sapphires of many colors and offer custom faceting, she contacted me. We talked at length about sapphire’s pleochroism. 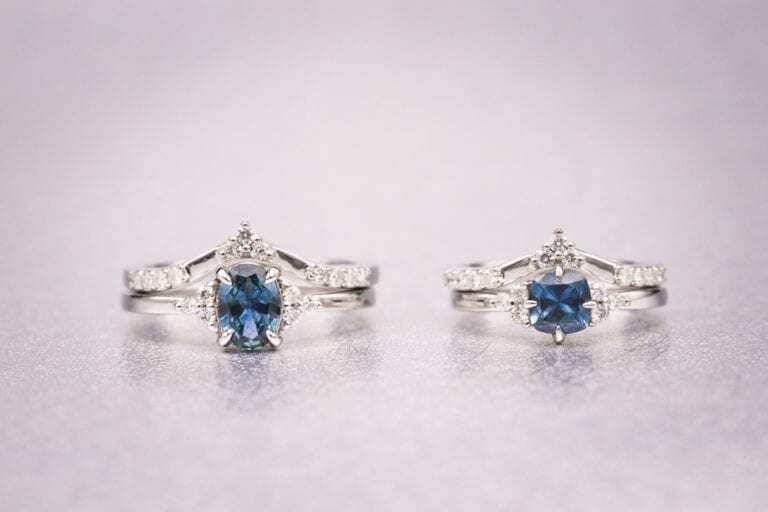 Sapphires can show two different colors when viewed from different directions. Furthermore, we learned that Linda’s sapphire was not yellow but gold. We don’t all see or define colors in the same visual terms. Yellow to Linda was gold to her jeweler and me. Resolving the color challenge would take time. Finally, I found an interesting Songea sapphire that was yellow along one axis and orange along the other. When turned so the colors blended, the stone exhibited the color Linda wanted. Linda chose a standard round brilliant cut to fit her birthday ring. Precision custom faceting made quite a difference. Linda was amazed at the gem’s brightness and performance compared to the previous stone. Now, Linda takes her ring to her jeweler once a year to ensure her new story stone will last a lifetime. Through this series of articles, I hope I’ve made clear the benefits of working with a precision faceter (without insulting anyone in the gemstone industry). With anything magnificent, you must take the time to communicate your vision and desires to craftspeople and artists. Your story gemstones deserve no less. I have just a few more recommendations for consumers who may be wondering how to work with custom faceters. Ask precision faceters for references. Unless they’re famous gemstone artists, they should be willing to take the time to make you feel secure with your transaction. Remember that quality gemstone rough is becoming more expensive and scarce by the day. 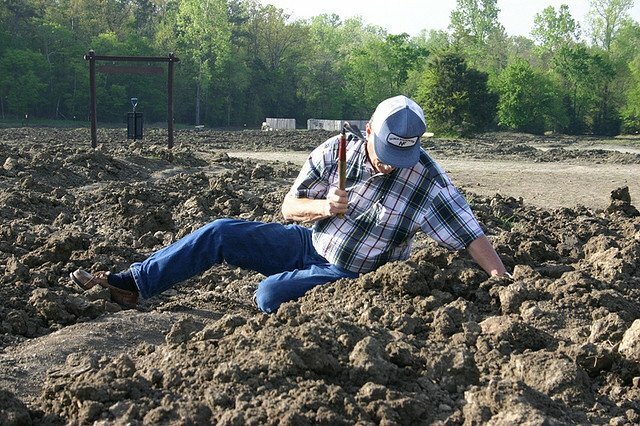 Be patient with your precision faceter if they can’t procure your rough gemstone material immediately. If a deal seems too good to be true, have the gemstone rough tested by a professional. The International Gem Society (IGS) has a list of reputable businesses offering gemstone appraisal services. Don’t expect miracles. Precision faceters can’t improve a rough stone that’s not suitable for faceting, nor can they meet an impossible deadline. Involve your jeweler in the custom faceting process early. If you don’t have a jeweler, your faceter can recommend one. 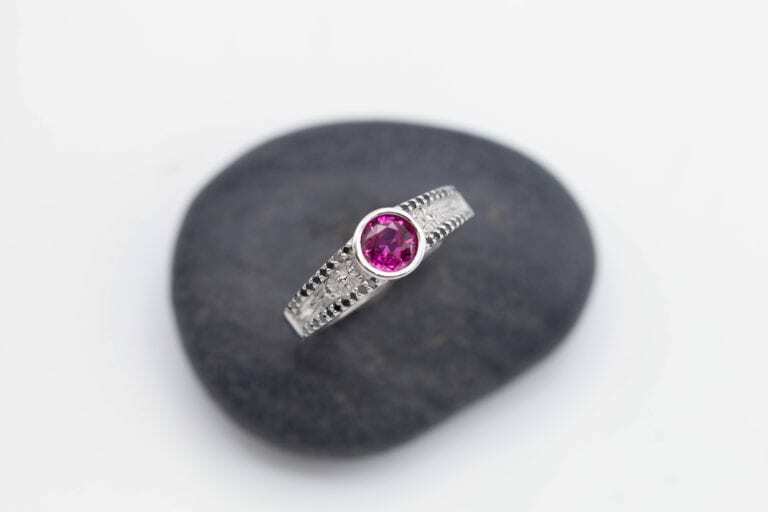 The IGS also has a list of reputable jewelry makers. 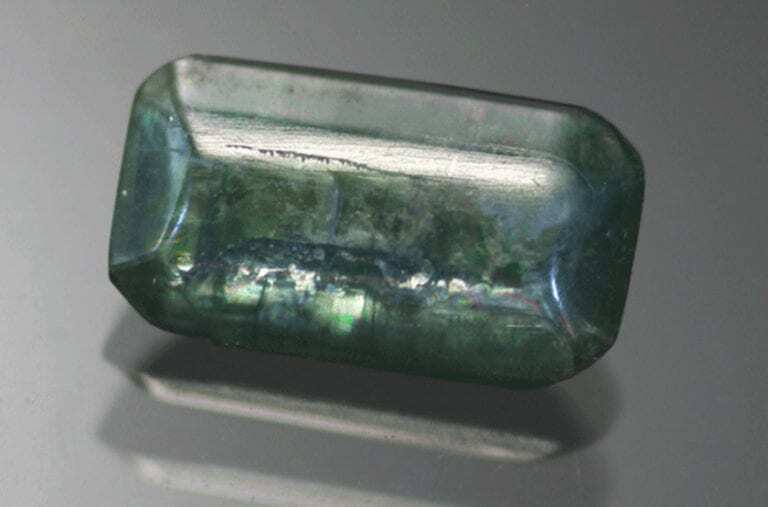 Learn how to care for your gemstones and jewelry. Your investment deserves the best. Janet’s aquamarine, 7.5 cts, faceted by Hashnu Stones & Gems Studio. Gem design, “Cipolla” by Marco Voltolini. © Hashnu Stones & Gems. Used with permission. My company, Hashnu Stones & Gems, is a boutique custom faceting studio providing contemporary and unique gemstones. We combine classic design and old-world craftsmanship with a modern vision, delivered with state-of-the-art faceting equipment. With our network of gemstone miners and brokers, the latest in faceting technology, and in-house developed sculptural techniques, we create one-of-a-kind gemstones for individuals, jewelers, or collectors who want to reveal the beauty of their gemstones as well as express their own individuality. We create twelve to fourteen “Story Stones” a year. Please contact us, and we’ll be happy to work with you. 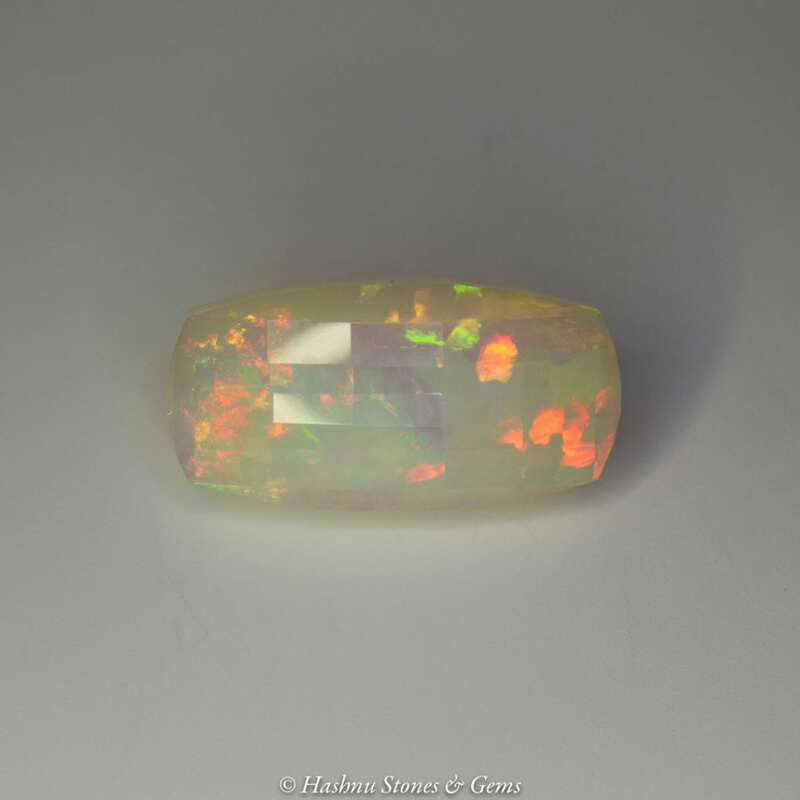 Sandra’s opal, 21 cts, faceted by Hashnu Stones & Gems Studio. Gem design based on Fred Van Sant’s FVS-226 Design. © Hashnu Stones & Gems. Used with permission. Faceting an Opal from Ganoksin on Vimeo. I recommend the following friends and partners. AP Colored Stones has a love for the rare, the exotic, and the exceptional. 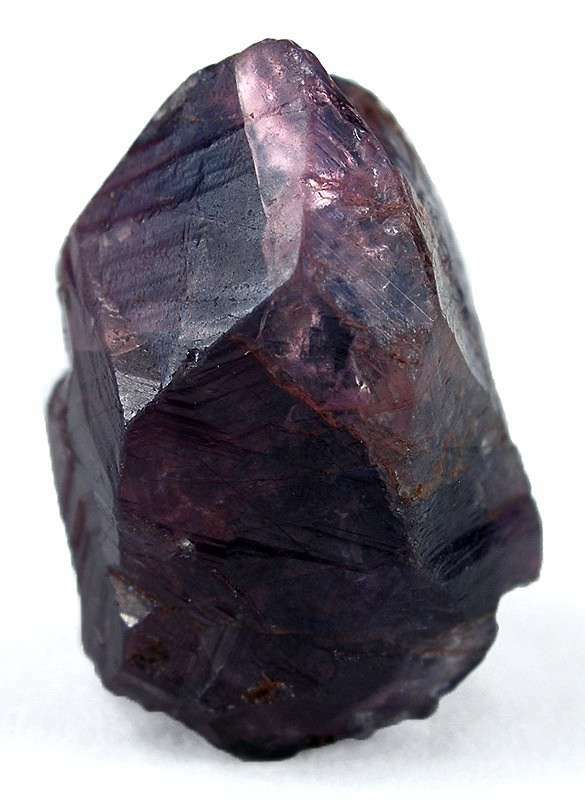 As you browse, you’ll find a variety of unusual and unique gems at an extraordinary value. Explore and discover a world of beauty and imagination (and an array of Hashnu gemstones). Why would we recommend another lapidary artist? 1. We love North Coast Lapidary’s designs. 2. We know Jim puts quality first. 3. If we can’t fit your custom gemstone into our schedule, we still want you to get the very best. 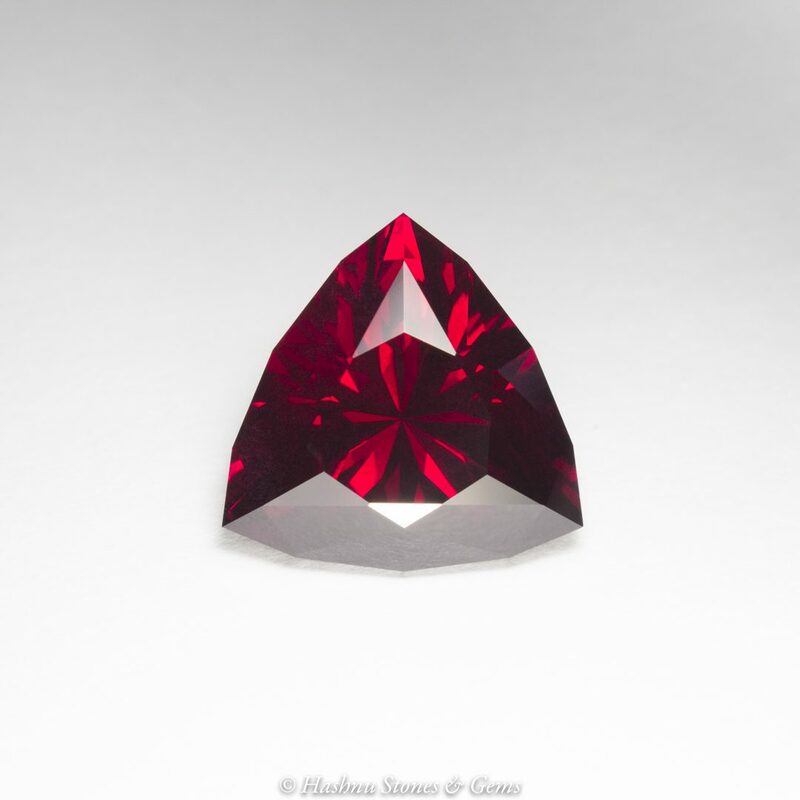 Tom’s rhodolite garnet, 18.2 cts, faceted by Hashnu Stones & Gems Studio. Gem design, “Star Trek Trillion,” by Jim Perkins. © Hashnu Stones & Gems. Used with permission. Ruth Rosenfeld designs and fabricates exquisite contemporary jewelry in her Bucks County, Pennsylvania studio. 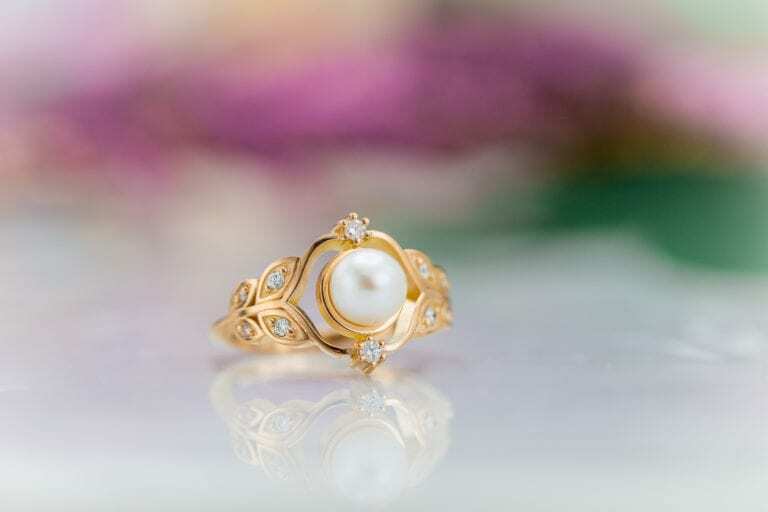 With fine gold smithing techniques, Ruth creates classic modern jewelry by using different colored metals, layering with textures, and Hashnu gemstones. Explore the world of Peter Lees Jewelry. Be prepared to see things you’ve never seen before and reimagine the possibilities of what could be. Experience for yourself why he has won three prestigious AGTA Spectrum Awards. We love working with Peter and cutting gemstones for his jewelry creations. Unusual textures, contrasting metals, and dark patinas give Mark Farrell’s work a saturated and rich appearance. Working with your Hashnu gemstone will amplify his passion for creating handcrafted one-of-a-kind jewelry. Moon’s clear quartz, 3.9 cts, faceted by Hashnu Stones & Gems Studio. Gem design, “Triple Table Variation,” by Mark Oros. © Hashnu Stones & Gems. Used with permission. 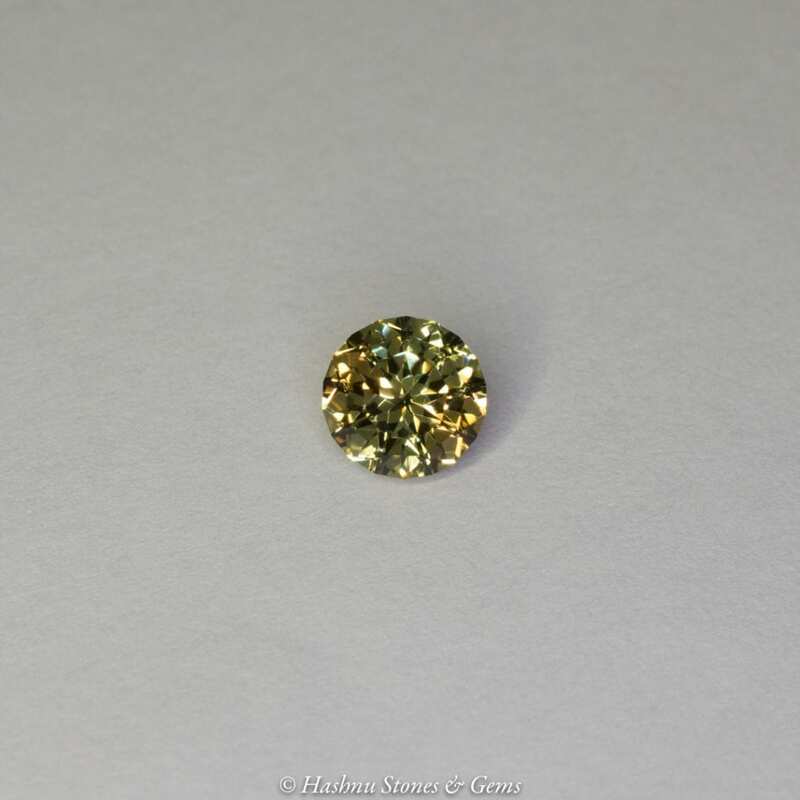 Sunshine’s Oro Verde quartz, 28.2 cts, faceted by Hashnu Stones & Gems Studio. 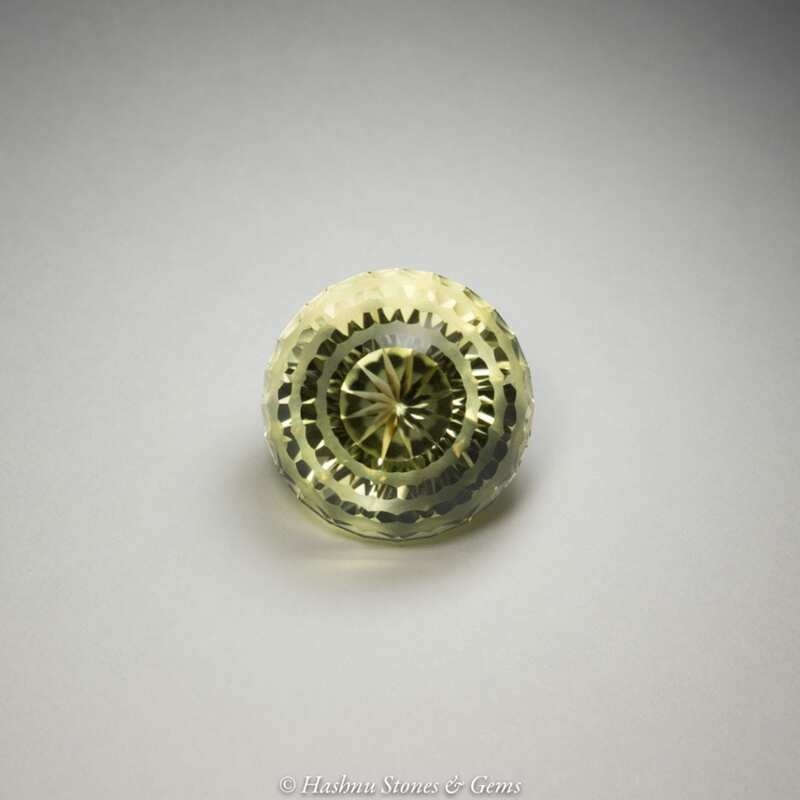 Gem design, “Sunshine Stone,” by Mark Oros. © Hashnu Stones & Gems. Used with permission. At Hashnu Stones & Gems, we work and play with some of nature's finest creations, gem stones, opals, agates, jaspers, and fossils. 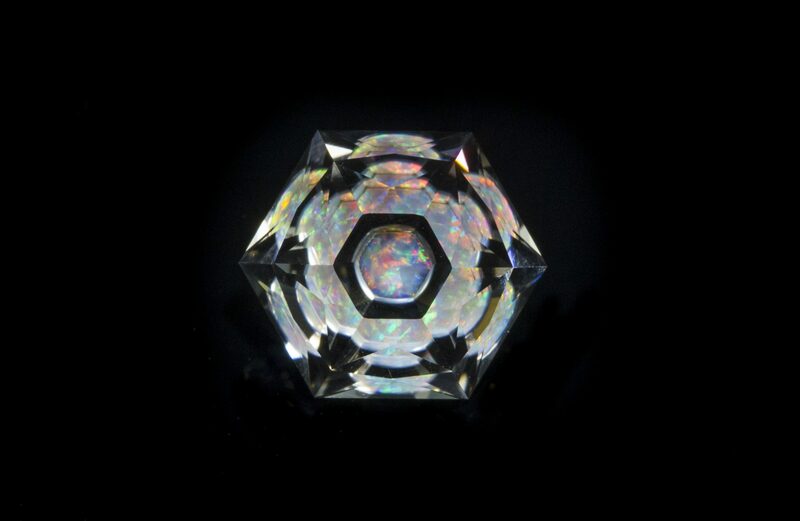 We custom facet and carve a great variety of materials for our patrons, collectors, jewelers, artists and our friends. We also provide fellow lapidarists with facet-grade quality rough material for their own creations. Get the insight of Jeff on all your concerns about Gemstones. “Are all Sapphires blue?”. 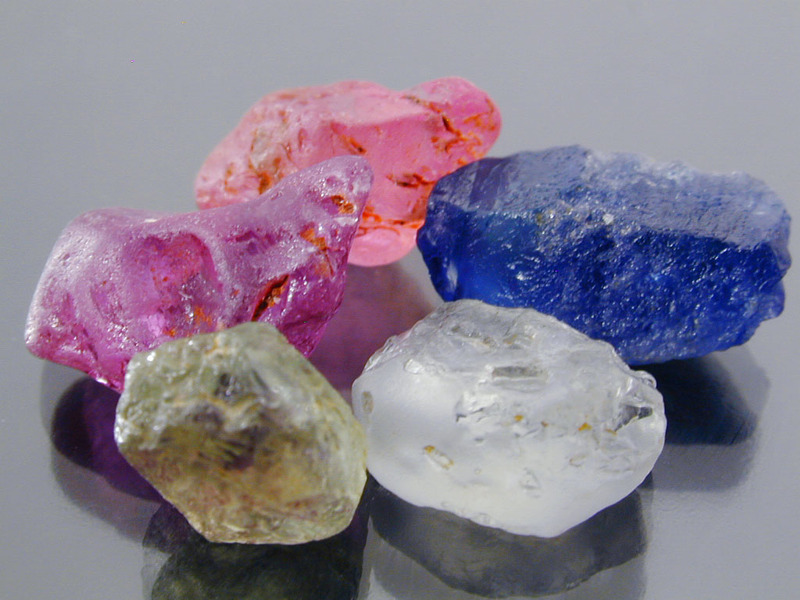 Check out the Umba Sapphire Parcel Colors. Our survey asked for your input on the age-old question: where is the line between ruby and sapphire? The results may surprise you.